Recently, DAILY INDEPENDENT spotted Mary, a 13-year-old girl, at 11: 00 am, with many parts of her body mutated with injuries , even as blood dripped from her eyes and nose at Adeosun Street, close to popular Oshodi area of Lagos. Mary, as she simply identified herself struggled to respond to interrogation about her wounds. “I stay with my Madam at No. 6, Adeosun Street and she managed said; ‘I must find the money,’ she became mute in between talks, while trying to fight back tears. “Maybe Mary misplaced some of the proceeds from the day’s sales. She has become an object of constant beating; this is not the first time. We always hear the woman shouting and beating the girl every day. We heard her shouting around 4:00pm, ‘you must bring the whole money from the ‘oranges’ you sold,” the passer-by also said. Still evergreen in the memory of Nigerians is the case of Mr. Chris Elvis, computer accessories dealer, who allegedly beat his four-year-old son to death, padlocking his mouth to prevent him from shouting while the beating lasted. 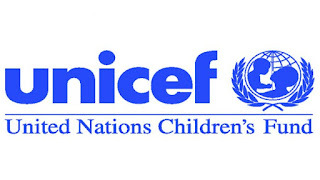 Against the background, the United Nations Children’s Fund (UNICEF) has expressed new determination to end violence against children, VAC in Nigeria. The agency weekend announced that it has already started reviewing the 2014 VACS findings to identify the drivers of the heinous crime. 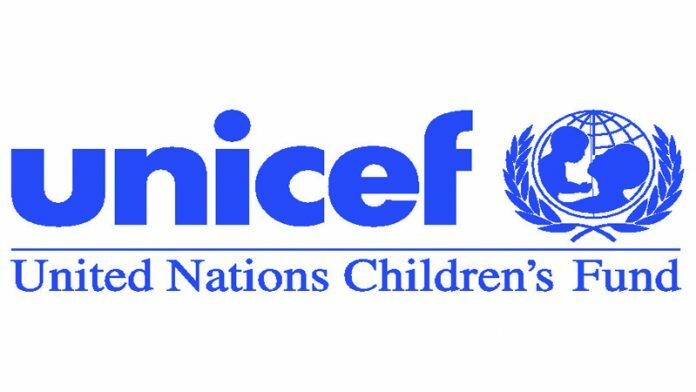 UNICEF disclosed this in a report to mark the 2018 Children’s Day, the UN agency for children also reaffirmed its pledged to mobilise political will and resources to tackle and end all forms of violence against children in Nigeria. According to him, perpetrators often include the very people children are expected to trust – parents, caregivers and other family members, friends, teachers and intimate partners. Ndombi noted that violence against children affected them for life, saying that the marks were sometimes visible bruises and broken bones. According to him, harm caused by violence on children also affects their mental and physical health and their ability to function in the world. Speaking on the year’s theme, “Creating Safe Spaces for Children: Our Collective Responsibility,” Ndombi said it provides an excellent opportunity to speak up on behalf of all the vulnerable children in the country. He identified the efforts of the government to end violence against children to include the conduct of VAC survey in 2014. The survey, according to him, provides the first national representative data on the prevalence of sexual, physical, and emotional violence among children in the country. Ndombi identified Nigeria as the first country in the West African sub-region and the ninth worldwide to conduct VAC survey. He said the action demonstrate clear commitment of the government to tackle the menace. “The findings released at the end of 2015, highlighted that millions of Nigerian children are suffering from violence every year and most are suffering in silence. “Six out of 10 children will suffer some form of emotional, physical or sexual violence before they reach the age of 18. “Many of them encounter violence over and over; yet, less than five per cent of the children that seek help and receive support. “This is a clear call for the government at all levels to act to end violence against children. “In September 2015, President Muhammadu Buhari launched a Year of Action to End Violence Against Children and called on all Nigerians to join this battle. “Buhari renewed his commitment in October 2016 by launching a long-term campaign, aligned with the Sustainable Development Goals, to End Violence Against Children by 2030,” he noted. The UNICEF deputy representative was optimistic that violence against children is preventable. He insisted that this achievable by developing protective laws and policies, promoting services, targeting programmes at those who most need them and raising awareness to promote social change.